Hi! Guys in this post, you will see effects of energy on the environment. I think other peoples also a was re of the energy they used and how it affects the environment that's why I pick this topic. I hope you'll enjoy. Environmental problems such as pollution that consist of noise, air pollution and water pollution may arise by using different sources of energy such as fossil fuels and nuclear energy . Pollution is the change in the quality of environment that can be harmful and unpleasant for living things as. A temperature rise in the environment that disturb life is called thermal pollution. 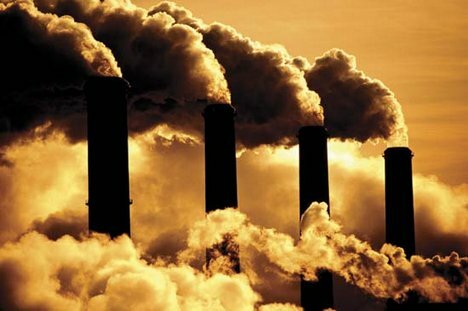 Thermal pollution upset the balance of life and endangers the survival of many species. Air pollutants are unwanted and harmful. A natural process such as volcanic eruption, forest fires and dust storms add pollutants to the air. These pollutants are really built up to harmful levels. On the other hand the burning of fuel and solid wastes in home automobiles and factories releases harmful amount of air pollutants. All power plantar produces waste heat, but fission plants produce the most. The heat released into a lake, a river or an ocean upsets the balance of life in them. unlike other power plants, nuclear power plants do not produce carbon dioxide.. But they produce dangerous radioactive waste. Many individual communities have laws which protect their areas from pollution. Individuals can help to control air pollution simply by reducing the use of cars and other machines that burns fuel. Sharing rides and using public transportation. These are the ways to reduce the number of automobiles in use. Tags: pollution, water pollution, air , noise , environmental, land pollution , ocean pollution , causes of pollution , global warming, industrial pollution , ocean pollution. STAY UPDATED WITH EVERY IDEA THAT CAN HELP YOU N OTHERS.